NAGPUR: The Nagpur Improvement Trust (NIT) has been unable to find even a single buyer for flats constructed for higher income group (HIG) at Gorepeth and Bhamti. The sale of Gorepeth flats had been put off since last four years due to a land dispute. A NIT official told TOI the tendering process and open auction was held for HIG flats last month, but no one turned up. “We are again planning to go in for an auction soon,” he said. In 2011, NMC had started construction of HIG flat scheme with 15 flats each of 2BHK and 3BHK adjacent to the canal at Gorepeth. Deadline to complete the scheme was set as December 2012. NIT completed the construction of nine flats — six 3BHK and three 2BHK — in 2014. 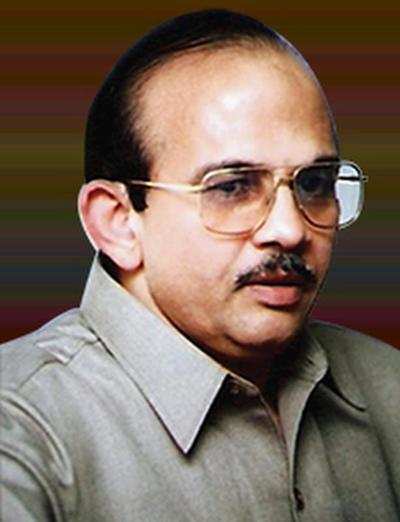 The project was stuck due to land dispute with the family of IAS officer Atul Patne. NIT was planning to complete the entire scheme and then auction the flats. However, the land dispute stretched on, and remains unresolved even now. NIT recently tried to auction the nine completed flats, keeping on hold the remaining flats. Known for its planning, NIT had constructed 3BHK with super built up area of 1,396 sq ft (129.79 sq m) and kept offset price of Rs1,02,14,080, which comes to 7,316.67 per sq ft. Super built area of 2BHK was 1,053.94 sq ft (97.95 sq m) and offset price was Rs80.40 lakh, which comes to Rs7,628.51 per sq ft. Similarly, NIT had constructed 200 flats of 1BHK, 2BHK and 3BHK at Bhamti along London Street. NIT started auction of the flats in January 2014. NIT got good response for 1BHK and 2BHK flats at that time while only 30 of total 70 3BHK flats were sold. Auction for remaining 40 flats was done along with the flats at Gorepeth scheme recently. The built up area of the 3BHK flats is 956.77 sq ft and offset price is Rs53.35 lakh. NIT officials said there are some reasons behind the setback in sale of HIG flats. “Purchaser has to pay ground rent of 2% of total value of flat to NIT every year. Ground rent becomes high when it comes to 3BHK flats. Flat owner would have to pay NIT’s ground rent, and also NMC’s property tax every year. Also, there seems to be not much demand for flats in the present condition. Another reason could be there is less demand for 3BHK flats or those costing above Rs40 lakh,” he said. NAGPUR: In what can be called a precautionary measure after the Mahad bridge collapse, which claimed 30 lives in August 2016, the public works department (PWD), coming up with a new norms of monitoring and repairing bridges situated on district roads and the state highways, has decided to go for the structural audit of major bridges once in five years, instead of 30-50 years of construction. Earlier, the PWD used to do structural audit of bridges and repair or re-construct them only after receiving regular complaints or completion of 30-50 years of construction. But after the Mahad tragedy, the PWD started to take monitoring and repairing of bridges very seriously. According to a notification, describing the new norms in detail, issued by the PWD a couple of days ago, structural audit of bridges with length up to 250 meter will be done by private technical consultants registered with PWD. “Structural audit of bridges with length between 250 and 500 meter has to be done through reputed engineering colleges. For bridges with length above 500 meter, structural audit has to be done through IITs or Central Road Research Institute (CRRI), New Delhi,” the notification said. It further said engineers will inspect all bridges in June (before monsoon) and December (after monsoon) every year, and make a report on their conditions which will be tabled before chief engineers for review meeting which will be held after the two inspections. “Chief engineers will then identify bridges for structural audit on the basis of the report and prepare a list of bridges taken for structural audit once in five years. 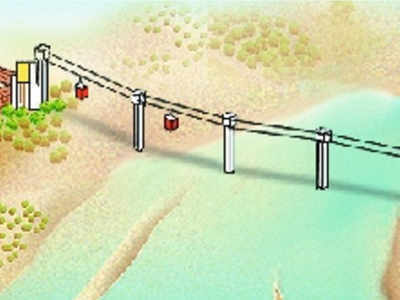 A list of such bridges will also be published followed by issuing circular to all offices,” the notification said. Chief engineers’ powers to spend on bridges’ repairing has also been increased to Rs1 crore, the notification said. 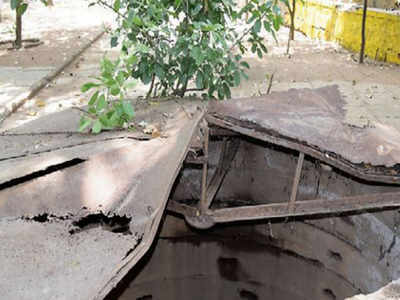 Earlier, chief engineers had to take approval from the head office for the repair work but after the Mahad tragedy, they were given powers for taking up repair works up to Rs50 lakh. Apart from that, the notification said, the PWD for the first time has set a quantum of funds for repair works. From now onwards, the PWD circle offices can reserve 10% of total funds allotted for repairing of roads. Chief engineer Ulhas Debadwar said the new norms, particularly the structural audit of bridges once in five years, will help in close monitoring of bridges’ condition. “Earlier, there was no specific time period for structural audits. Also, decision to increase financial powers of chief engineers will help in speedy repair of bridges,” he said. The PWD has also allowed structural audit of buildings coming under its jurisdiction from third parties. “For buildings with built-up area of up to 2,500 sqmt, structural audit has to be done from private technical consultant empanelled with the PWD. Structural audit of buildings with built-up area of above 2,500 sqmt has to be done from IIT, VJTI, VNIT and College of Engineering, Pune,” the notification said. NAGPUR: The city will soon have a new environment clearance authority. The Nagpur Municipal Corporation’s town planning department has shortlisted six members for the environment cell to look after quick processing of project proposals. The department’s proposal to appoint three members on three sub-committees — waste management (solid and liquid), resources efficiency including building material and environment planning including air quality management — will be tabled before the general body meeting to held on February 20. Those shortlisted include: Kaustav Chatterjee and Sachin Jain for waste management, Ganesh Mankar and Parikshit Mudholkar for resources efficiency including building material and Dr Ratnakar Mudliar and Dr DS Ramteke for environmental planning including air quality management. Though, the NMC has shortlisted two members for sub-committees, it will need only one expert in each categories. Besides experts, the cell will comprise three NMC officers who are expert in waste management (solid and liquid), water conservation and management and environment planning. These officers will focus on fields such as environment planning including air quality management, energy efficiency and renewable energy, and resource efficiency including building material. Remuneration of experts will be fixed as per meetings. Earlier, the state-level Environmental Impact Assessment Authority under environment department used to issue clearance to infrastructure projects. 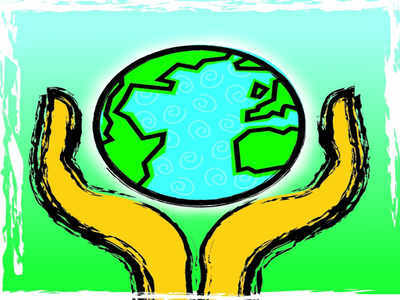 Developers and government agencies had to approach the committee based in Mumbai for obtaining environmental clearance. As a part of ‘ease of doing business’ concept, the MoEFCC (ministry of environment, forest and climate change) made amendments in its bylaws for granting clearances. According to him, following a guideline from the state government NMC has already fixed charges for issuing environmental clearance. “It will charge Rs1 lakh for projects costing up to Rs1-50 crore, Rs3 lakh for Rs50-100 crore, Rs5 lakh for Rs100-500 crore, Rs10 lakh for Rs500-1,000 crore and Rs25 lakh for projects above Rs1,000 crore. Penalty will be double the charges in case of non-compliance with environmental clearance conditions,” the officer explained. Getting environment certificates in Nagpur city itself will fix some of the major problems faced by builders. “Many projects come to a halt in the waiting process. The delay in commencement leads to cost escalation, which ultimately results in buyers bearing the burden of the escalated rates,” said a builder. Meanwhile, the general administration department has submitted a proposal to appoint the officer equivalent to the rank of additional commissioner (NMC) retired or in service on the board of Nagpur Environmental Services Limited (NESL) as director. The director will be responsible for successful, timely and better execution of various projects. Nagpur: Amid efforts to increase forest cover to the mandatory 33%, Maharashtra has lost 17 sq km forest, more than four times the area of Lonar wildlife sanctuary in Buldhana district. The India State of Forest Report (ISFR) 2017 was released recently by Forest Survey of India (FSI), based on the interpretation of satellite data from October 2015 to January 2016. This shows forest cover in the state in 2015 was 50,699 sq km, whereas in 2017 it has decreased to 50,682 sq km, a loss of 17 sq km. The report is released every two years. Shockingly, of the 35 districts, 20 have shown decrease in forest cover compared to 2015. FSI attributes net decrease in forest cover to rotational tree felling in territorial forest and by FDCM, besides submergence of area, agriculture expansion and development activities. However, Nashik-based expert on forest land issues Hemant Chhajed says FSI has not considered huge encroachments and forest land grab under Forest Rights Act (FRA) as major reasons for decline in forest cover. Chhajed said as per FSI of 1987, Maharashtra had 64,055 sq km forest. Now, it has decreased to 50,682 sq km, a loss of 2,318 sq km. “Even if officials claim that most of the forest area has been diverted for projects, an equivalent area has to be compensated by project proponents, and if such area is not available, compensatory afforestation has to be done on equal land. So, forest cover should increase and not decrease. It is a failure of officials,” said Chhajed. However, even as forest cover is being lost every year, officials are content with increase in tree cover from 9,558 in 2015 to 9,831 in 2017, and increase in mangrove forest in Western Maharashtra by 82 sq km. A release issued by APCCF (conservation) picked up only the positive side of the FSI report. The report also states that Maharashtra has lost forest cover within recorded forest area (RFA) in all three categories — very dense forest (VDF), moderately dense forest (MDF) and open forest (OF). RFA includes forest inside the forest boundaries. The VDF in 2017 is 8,027 sq km while in 2015 it was 8,361 sq km. Similarly, MDF, which was 15,939 sq km has been reduced to 14,168 sq km, and OF which was 13,143 sq km is 11,596 sq km now. Overall recorded forest area has been reduced by 3,652 sq km. “This decline doesn’t mean that this much area has gone. It is quite possible that its status or class must have changed,” said a senior FSI official. On the contrary, officials claimed forest cover outside recorded forest area has increased by 3,706 sq km from 13,185 sq km to 16,891 sq km. Chhajed says this may be due to various government and private agencies taking up plantations on their lands. RTI activist Avinash Prabhune claimed that FSI has not considered encroachments under the Forest Rights Act. According to information received under RTI by Prabhune, 2.80 lakh individual titles on forest land have been rejected by the district level committee. “Rejected titles mean those in possession of these forest lands are encroachments. Even if an individual is considered to be in possession of bare minimum one acre forest land, it will run into 2.80 lakh acres,” says Prabhune. Nagpur: Finally, the Heritage Conservation Committee (HCC) on Wednesday gave a nod to Mahametro for the corridor and station works being carried out at Ambazari Lake embankment. Mahametro began works 12 months ago at the 145-year-old earthen embankment without permission from the committee and other departments. Following a complaint by MLC Prakash Gajbhiye, HCC’s two members, architect Ashok Mokha and structural engineer PS Patankar, visited the site and inspected the ongoing works. The members also inspected works along the 500 metre stretch of embankment toe. Mokha told TOI that the committee has found no violations by Mahametro. In fact, they had taken all safety measures and precautions suggested by Nashik-based Dam Safety Organisation. (DSO) There should be no issue if construction is being done as per expert recommendations, he said. A Mahametro senior official said all recommendations suggested by DSO are being followed. While allotting 408.459 sq m space at Kasturchand Park to Mahametro, the condition of proper care and repair of the ground was put forth. However, Mahametro has expressed its inability to maintain Kasturchand Park, and instead suggested that it would help NMC to maintain it. The proposal of Mahametro paying remuneration to NMC for this work has been approved by the HCC. Along with this, the committee has asked Mahametro to install a 5 meter long and 6 meter wide projection screen at the metro station to be built alongside KP Ground, which will aid in spreading awareness about the heritage site. A total of nine subjects were discussed in the HCC meeting attended by former Neeri director Tapan Chakraborty, Shubha Johari, Supriya Thool, assistant director of town planning (NMC) Pramod Gawande, NIT superintending engineer Sunil Gujjalwar, and architect Ashok Mokha. The committee gave a nod to a marathon to be organized from Kasturchand Park on August 20 to mark Samwidhan Diwas. Conditional permission was also granted to hold the Chhatrapati Shivaji Maharaj Jayanti programme at the venue. Nagpur: Stung by the construction of a beach on the historic Navegaon Lake violating rules, the chief minister’s office (CMO) has called a meeting of wildlife, forest, revenue and irrigation department officials on Friday. TOI, on January 20, was first to report how rules were bend under political pressure to construct a beach on Navegaon Lake by the irrigation department. 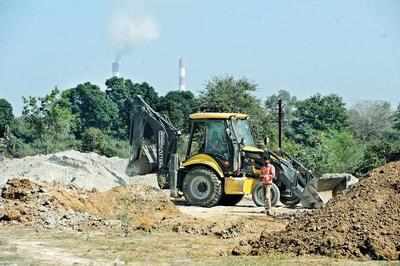 State wildlife board (SBWL) member Kishor Rithe said construction of beach and other development activities on the river bed are in blatant violation of Wildlife (Protection) Act 1972. “The lake and area surrounding it are a part of the notified buffer zone of Navegaon-Nagzira Tiger Reserve (NNTR) and also falls within the eco-sensitive zone (ESZ). Any such development activity requires clearance from SBWL,” Rithe said. Rithe said even if the land where beach has been constructed is in possession of irrigation department the wildlife and territorial officials can always question the violations the area being part of ESZ. The CMO seems to have acted on TOI news followed by a written complaint by Rupesh Nimbarte, president, Hirwal Bahuudeshiya Sanstha, a Gondia-based NGO. During the past few months irrigation department constructed a beach and machans in the lake bed. Entire construction activity is going on under the DPDC funds without any sanctioned plan and scientific basis, which threatens to change ecological character of the biodiversity-rich lake. The works are also in complete violation of Wetlands (Conservation and Management) Rules, 2010, which were amended in 2017. Both, the old and new rules call for wise use of the wetland and the plan shall include objectives of site management and actions required to maintain its ecological character within the context of sustainable development. NAGPUR: The Nagpur Municipal Corporations casual approach towards segregation of waste has once again come to fore. The civic body had launched the segregation of waste exercise with much fanfare on June 5 last year and had also announced to provide two separate bins to 30% property owners out of the total 5.5 lakh properties. However, it took almost nine months to shortlist a supplier from which the NMC will procure 3.30 lakh bins  including 1.65 lakh each green disposal units for wet and blue for dry waste. The proposal to procure dustbins from a Mumbai-based firm will be tabled before the standing committee meeting to be held on February 17. Each dustbin will cost Rs66.78 and for procuring 3.30 lakh bins, the NMC will pay over Rs2.20 crore to the firm. For the purpose, the NMC has deducted Rs2 lakh each from the ward fund of 156 corporators. Cash-strapped NMC hopes to save some money by renegotiating a contract with a machinery supplier. The civic agency had hired two high capacity suction and jetting recycling machines from Aryan Pumps and Enviro Solutions for seven years. The rate was to be increased every year as per the wholesale price index (WPI), which was 10% for the last few months. However, the NMC administration renegotiated with Aryan, which agreed for a 4% hike per year. The proposal has to be cleared by the standing committee. Another proposal for making Rs1 crore provision for mid-day meal scheme will be submitted by the education department before the standing panel. As per the department, it was decided that 60% of the total cost of the mid-day meal was to be borne by central government and 40% by the state. It was decided that for students in Std I to Std V, Rs4.13 per student per day will be spent on mid-day meal and Rs6.18 was to be spent on students in Std VI to Std VIII. It is advised that Rs1 crore should be spent on mid-day meal to better its efficiency and to increase enrolment in the mainstream education, the proposal stated. In all, 24 other proposals including two old ones will be tabled before the standing committee which include Rs84.79 lakh fabrication work of two water browsers by the fire department. Nagpur: The Civil Lines residence of Congress leader Ranjeet Deshmukh, Bhaskar Bhavan, may be auctioned as he has been unable to pay off a business loan taken from IDBI Bank. District collector office is likely to seize his property on February 20 under Bank Securitization Act. Deshmukh along with Bhavan and Pallavi Parekh had taken a loan of Rs4.95 crore for setting up a company Percept Web Solutions in Mihan. Deshmukh’s residence opposite MLA Hostel and some other properties were provided as collateral. The business went bust and Percept Web Solutions could not pay off the loan. The loan amount including the interest had reached Rs5.70 crore. IDBI therefore decided to auction the collateral to recover its loan. Sources in IDBI said that the Percept loan was classified as non-performing asset (NPA). Deshmukh was frequently contacted regarding recovery of the loan but he did not respond. He was issued several notices regarding possession notice, title search repot, mortgage deed, etc but in vain. Left with no option, IDBI officials sought permission of district collector under The Securitization and Reconstruction of Financial Assets and Enforcement of Security Interest Act (commonly known as Securitization Act), for auctioning Deshmukh’s property. District collector has agreed to seize Deshmukh’s property and hand it over to the bank. When contacted, Deshmukh admitted to receiving the attachment notice. “I had paid off Rs1.95 crore in September. The Parekh’s have not paid their share of the loan. The bank officials should now go after them,” he said. Nagpur: Even though one sewage treatment plant (STP) having a capacity of 130 million litres per day (MLD) is functioning and another 200 MLD will be commissioned soon, sewage is still flowing in Nag River. The Nagpur Municipal Corporation (NMC) has therefore decided to build a third STP or augment the capacity of the second one. A source in the NMC said that the state government had made it clear to National Thermal Power Corporation (NTPC) that it will not get much raw water from Gosikhurd for its 2,320MW Mouda plant. “Some operations of thermal plant have to be done by using raw water but tertiary treated waste water can be used for most operations. We expect NTPC to approach us soon,” he added. NMC and Mahagenco had constructed a 130 MLD STP at Bhandewadi. The tertiary treated waste water is supplied to Koradi thermal power station (KTPS) of Mahagenco. Agreement has been signed between Mahagenco, NMC and its concessionaire for sale of another 150 MLD from the 200 MLD underconstruction STP. This leaves 50 MLD treated water unsold. “Even when both the STPs become functional, Nag river still would have 100 MLD untreated sewage. If zero pollution load is to be achieved another 100 MLD plant will have to set up,” said the source. According to the official, NMC will first ask the concessionaire for the 200 MLD STP to augment the capacity of its plant by another 100 MLD. “We will ask it to be done at 2014 prices. If he agrees, it will be great otherwise we will go in for tender process. This will, however, delay the project by a year,” he further said. The NTPC had been approached by NMC for sale of water from the 200 MLD plant. “However, unlike Mahagenco, the central entity refused to bear the cost of the STP. Moreover, Koradi is not very far from Bhandewadi. But Mouda is 35km from the STP. 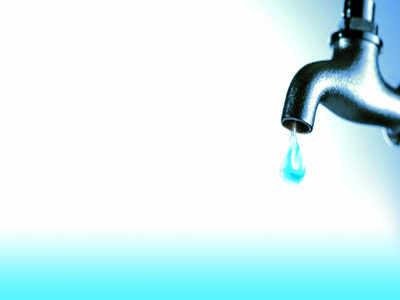 NTPC was therefore reluctant to use treated water. However, now chief minister Devendra Fadnavis and state energy minister Chandrashekhar Bawankule have told the central entity in no uncertain terms that it will have buy water from NMC. We expect them to approach us very soon,” the official said. According to the official, it would be a win-win situation for NMC when the third STP was constructed for NTPC. “At present we are getting Rs15 crore from Mahagenco. When the third STP is completed our revenue will increase to around Rs50 crore per year. The cost of our STPs will be recovered from royalty,” he said. Nagpur: At a time when Maharashtra has lost 17 sqkm of forest cover, misuse of forest and revenue land by the country’s third-biggest power plant, owned by Adani Group in Tiroda in Gondia district, has come to fore. In 2014, the Adani Power Maharashtra Limited (APML) was allotted 164 hectare prime forest land, by the state government after following all procedures, for the expansion of the power plant. Wildlife experts had opposed this move as the APML was less than 10 kms from the boundary of Nagzira Wildlife Sanctuary. Out of the 164 hectare, 15 hectare was allotted for a railway siding, which was in contravention of rules. The remaining 149 hectare forest land, meant for plant expansion, was given in 2016 a year after APML had completed expansion work. A hi-tech ash dyke is now being built on the allotted forest land without the mandatory environment clearance. The APML is also dumping ash on the 110 hectare land procured from MIDC for constructing a 6 metric tonnes per annum (MTPA) cement plant. The APML plant and the MIDC land are 1.5 kms from each other. While procuring this land, the directorate of industries in its order on November 4, 2010, had strictly said that the land sought for the cement plant should not be used for any other purpose. However, even after 7 years the cement plant is not in place and every day over 20,000 tonnes of poisonous ash is being dumped at both the spots — at the ash dyke on forest land just outside the APML plant as well as the MIDC plot. Experts say this is a huge health and environment hazard for nearby villages. Interestingly, on April 22, 2010, the MoEFCC while granting expansion of the plant from 1320MW to 3300MW had directed that all the fly ash be used in the cement plant from the fourth year of its operation. But the cement plant is only on paper. MPCB regional officer Rahul Wankhede admits that not constructing cement plant is violation of conditions. Its Gondia sub-divisional officer AN Katole says Adani has violated environmental norms too. “We have issued notices to APML and recently issued a warning to it,” said Katole. On January 18, TOI emailed queries to Adani’s associate vice-president (corporate communications) Roy Paul. Around 10 days ago, he called to say that the Adani Power CEO had not given him any replies. In February 2017, Adani was allotted another chunk of 142 hectare forest land by the MoEFCC at two villages adjoining the plant for an ash park. A site inspection report by the then deputy conservator of forests (DyCF) Jitendra Ramgaonkar recommended the proposal saying the proposed land was outside the buffer zone of NNTR and “it was difficult to manage”. The land has not been handed over to Adani yet. Environmentalist Pushp Jain says developing an ash park is a non-site specific activity. “The thumb rule is that forest land should not be diverted for non-site specific activity,” he said. The forest land was cleared by FAC even though 400 acres of private land was available in Mendhipur village. The farmers, fed up with the dust and pollution, were even ready to sell it. Gondia DyCF Yuvraj S said if he will verify if land allotted for expansion is being used for some other purpose. MIDC regional officer Jagdish Sangitrao was not aware whether the 110 land was being misused. “On one hand, the government is planting 50 crore trees to increase green cover and, on the other, Adani is blatantly misusing forest land,” said conservationist Prafulla Bhamburkar. According to the greens, what Adani has done is “land grab”. Chandrapur honorary warden Bandu Dhotre said when tigers in Vidarbha are already crying for space, industries should use “private land instead of forest areas”. NAGPUR: A three-member Central team is set to arrive in the city for the Swachh Bharat Survekshan on February 26. The Nagpur Municipal Corporation (NMC) has been preparing hard to undergo the litmus test once again with a view to improve its ranking after its dismal performance in the previous survey in 2017, where it got 137th rank in the country. This time, the civic body has left no stone unturned. NMC has already entrusted All India Institute of Local Self Government for documentation. The team will visit various parts of the city on February 26, 27 and 28. A NMC senior official (sanitation) told TOI that the team will assess the city on various parameters. These include waste collection, sweeping and transportation of solid waste, processing and disposal of municipal solid waste, education and behavioural changes among city residents and capacity building procedures. 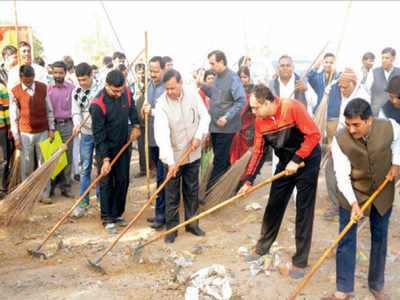 According to NMC officials, the team on the first two days will carry out collection and verification of documents related to measures taken up on cleanliness drive in the city. The team will also gather information related to door-to-door collection of waste by Kanak Resources, GPS used to monitor vehicles carrying waste and other innovative measures and practices adopted by the civic body. “Markings of NMC may not improve due to irregular collection of door-to-door garbage by the private firm in many areas like Zingabai Takli, Nara, Nari etc. This forced the citizens to dump garbage in open spaces,” said Congress corporator Manoj Sangole. The team will also inspect documents related to cleanliness in residential and commercial areas, segregation of waste and garbage at source, daily cleaning, sanitation and hygiene facilities on day one. Similarly, the team will check whether public toilets are gender-friendly, do they get power supply and are they connected with onsite safe disposal system, does it carry IEC (Information, Education and Communication) messages and others. During their direct observation, the team will also check whether the commercial places are clean, besides cleanliness in vegetable and meat markets, at Nagpur Railway Station, MSRTC bus stops at Ganeshpeth and other important centres. “Among all the parameters, citizen participation will again play the most important role as 35% marks from the 4,000-mark survey will be based on the citizen feedback,” the officer said. NAGPUR: Apart from using potable water to douse fire, the Nagpur Municipal Corporation(NMC) also uses drinking water in suction jetting machines to flush city’s choked drains and sewerage lines. On an average, every day the NMC’s sanitation department attends to at least 8-10 complaints pertaining to choked drains and sewer line with 10 suction jetting machines (one each with 10 zones) with a capacity of 3,000 litres each. This means, it uses over 74.88 lakh litres water per annum. However, now onwards, the NMC will use ‘contaminated’ well water to flush choked drains and sewerage lines, said health officer (sanitation) Dr Pradip Dasarwar. According to Dr Dasarwar, the decision was taken by additional municipal commissioner Ravindra Kumbhare and it will be implemented from tomorrow. Currently, the department fills water from either elevated storage reservoir or from hydrants of the fire department. On the contrary, the fire department attends to at least 10 dewatering of wells in the city every day and they drain the water in drains. This contaminated water will be used by the health department by using pumps and will be used for flushing of blockages in sewerage lines, said Dr Dasarwar. One ESR has a capacity to store 22 lakh litres of water and can caters to 15,000 consumers, which means 2.4 lakh people can get water supply in a single day. “This way, we will save potable water to a great extent,” he said. Nagpur: In what can be termed as a nexus between the Nagpur Municipal Corporation (NMC) officials and restaurants owners, a rooftop restaurant has been opened in a 40-year-old building at Sadar despite complaints. Similar inaction had led to death of 15 persons in a fire at a rooftop restaurant in Mumbai in December last year. RTI activist TH Naidu told TOI that the rooftop restaurant is on a G+1 floor commercial building owned by Vikram Vinayak Buty on Mount Road Extension adjacent to Smruti Cinema Theatre. “There is another restaurant on the first floor of the same building. Documents obtained by me under RTI Act from the NMC and Nagpur Improvement Trust (NIT) show that the two restaurants were opened without permissions. There is no NOC from fire and emergency services department and the occupancy certificates too have not been obtained,” he said. Naidu added that no fire prevention and safety equipment have been installed. “The first floor restaurant is totally packed. Permanent construction has been done for the rooftop restaurant which is not permissible. The only access to both the restaurants is very narrow,” he said. Naidu also said NMC fire and emergency services department and Dharampeth Zone did not take any action on his complaints lodged in January 2017 when the construction of the rooftop restaurant was going on. “The officials didn’t even bother to do inspection. Restaurant on the first floor is older than the rooftop one. I approached the NMC officials again after Kamala Mills fire incident but to no avail,” he said. Fire department officials said action would be taken against the two restaurants. “Action was delayed as there is only one officer for inspecting and taking action against unauthorized restaurants or buildings. Three rooftops restaurants were closed down after our warning,” an official said. Over 50 restaurants are functioning on rooftop and in residential buildings without permissions and fire safety equipment. On February 11, TOI had reported about three rooftop restaurants at Dharampeth and Abhyankar Nagar. One restaurant at Abhyankar Nagar has been shut but the other two are still open. Following TOI’s report, NMC Dharampeth Zone had served notice under the Maharashtra Regional and Town Planning (MRTP) Act to a rooftop restaurant on Gokul Roshan building at Zenda Chowk, Dharampeth, a couple of days ago. Naidu said NMC officials and fire department issue only notices but don’t act. “All officials are hand in gloves with restaurant owners,” he said. NAGPUR: Using the Metro not only reduces pollution and traffic congestion but is also good for your health. According to cardiologist Dr Prashant Jagtap a study has found that that people using Metro vis-a-vis cars in London have 44% less chance of developing obesity, 34% less chance of diabetes and 27% less chance of hypertension. Dr Satish Wate, former director of National Environmental Engineering Research Insitute (Neeri), said that travelling by Metro improves your health. “You do not inhale the vehicle exhaust on roads. Some chemicals in the exhaust like Benzene are carcinogenic,” he added. The environmentalist praised Mahametro for going in for massive scale plantations. Atul Pande, president of Vidarbha Industries Association (VIA), said that two to three years ago local industrialists were ashamed of taking foreign delegates around the city because of its poor infrastructure. “Now it is no longer so. A lot of infrastructure work is going on the most prominent being Metro,” he added. Lauding Mahametro for its speed of work, Pande said that it would improve the quality of life of workers. “People live in Kamptee and working in Butibori take two hours to reach their workplaces. Now they will be able to do it in an hour,” he further said. Architect Avantika Chitnavis said that Metro should be integrated into the city for maximum people to use it. “It should connect people and out of box thinking is needed for this,” she added. Another panelist said that congestion tax needs to be introduced to make people use Metro. Mayor Nanda Jichkar, who moderated the panel discussion, said that Nagpur Municipal Corporation’s (NMC’s) city bus service would be integrated with the Metro. 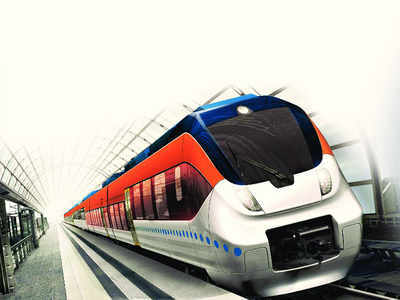 Earlier, Mahametro director (finance) S Sivamathan said that 55% of physical progress had been achieved by January end. The figure for financial progress was 30%. NAGPUR: Mahametro has appointed Central Road Research Institute (CRRI) to conduct a study on noise pollution due to Nagpur Metro Rail. CRRI experts will identify the stretches where pollution mitigation measures need to be undertaken. CRRI will begin the study in about ten days and complete in two months. “We will identify the shops and residences that will face maximum noise pollution. Preventive measures will be taken before the actual operation starts. 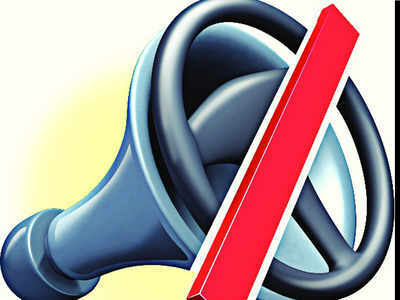 Noise will not increase beyond stipulated limit,” Dixit said. The MD said that pocket tracks will be laid at three stations — Rahate Colony, Agrasen Square and Subhash Nagar. “A third track will be laid so that if there is a snag in a train it can be stopped midway and repaired. Also, trains will be parked on the pocket track at night. They will leave early in the morning for their destinations. All trains need no go to the depots at night,” he added. Airports Authority of India (AAI) had taken objection to Metro viaducts on two places — near Jaiprakash Nagar station and between Rachna T-point and Bansi Nagar stations. “We have got the clearance by reducing the height of the viaduct by 80cm at these places,” he said. Huge parking will be provided at Airport South, Pardi and Dattawadi stations so that people coming from outside can park their vehicles there and travel in the city using Metro. “Talks with Nagpur Municipal Corporation (NMC) are going on for acquiring land,” Dixit said.